Strange name for a guitar you say? 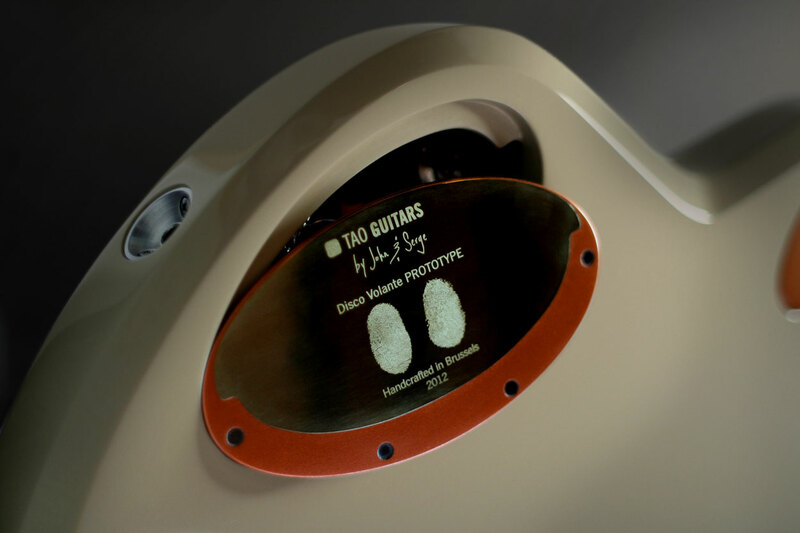 Not for us at Tao Guitars by John and Serge. The reference to the Italian automobile design had so far not yet found it into our line. 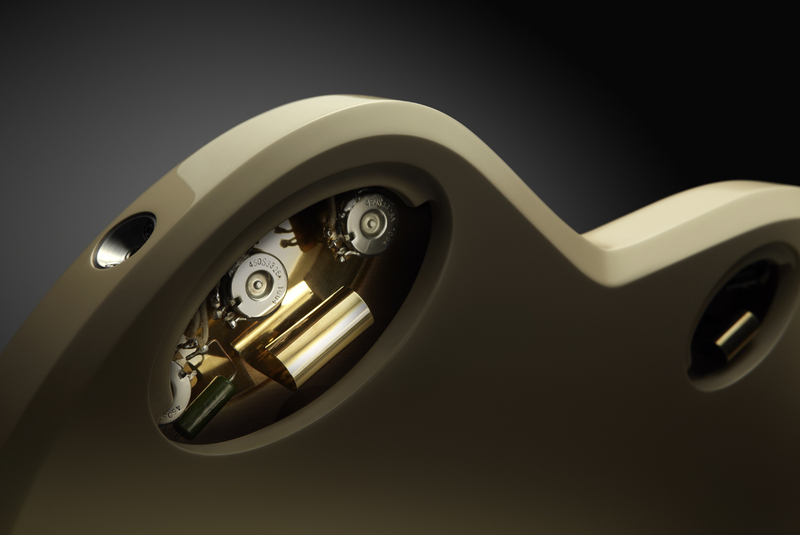 a tonefull object of design. We pay a certain interest to any adventurous designs of people who attain respect in their desire not to play it easy by following the trends. In 1952, Alfa Romeo set the new aesthetical & aerodynamic landmark of the time with a Touring Carrozzeria Superleggera design called Disco Volante (Italian for “flying saucer”); his lines prefiguring the iconic jaguar type E by almost 10 years. An anniversary version came out in 2012, designed by Louis de Fabribeckers, head of design for Carrozzeria Touring, and a fellow Belgian as well. 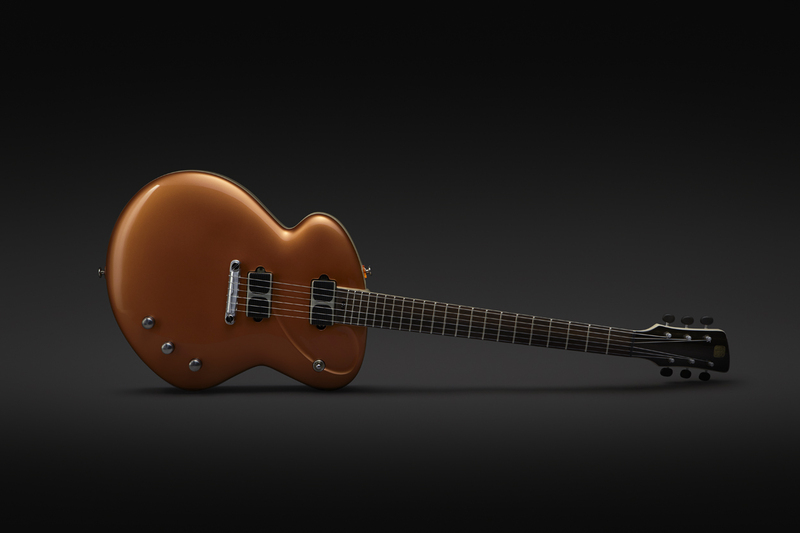 Our Disco Volante guitar is also our desire to reconnect ourselves with the genesis of what was once call the “Electric Spanish” guitar– the first ES guitar/non-cutaway body shape, and give it a ticket for the new century; creating a mix of cutting edge styling and old world craftsmanship. 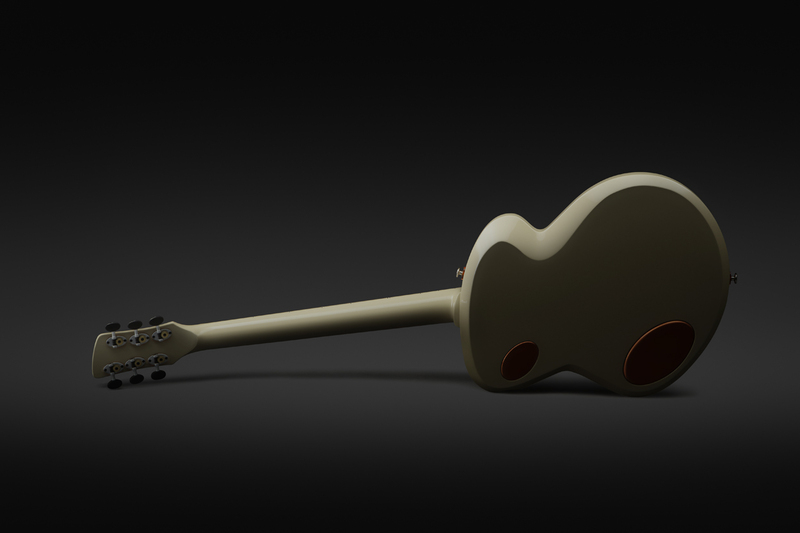 A toneful object of design. One piece quartersawn spanish cedar with selected indian rosewood fingerboard and ebony veneer. Custom “KTS Titanium” truss rod for a lighter and resonant neck. scale: 24′ 3/4 inch with a 12′ radius. 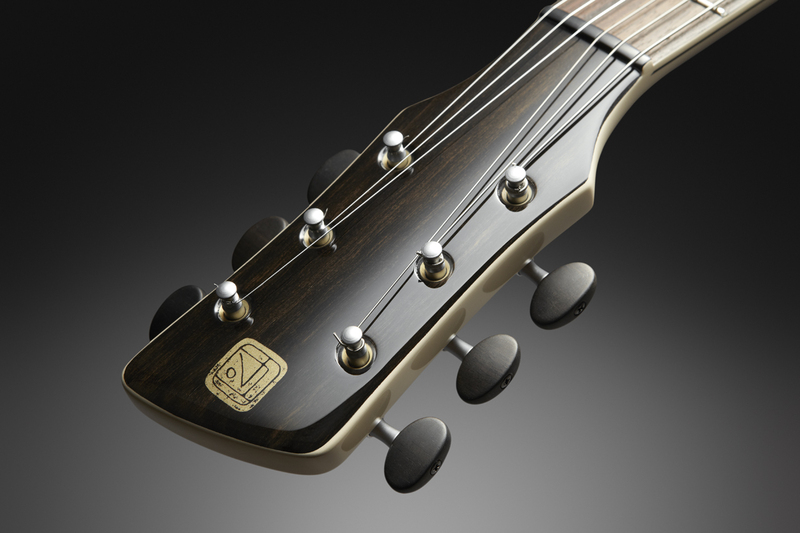 Tao Custom fretting: we start with medium jumbo to the 12th fret, and finish with smaller ones, giving your fingers more space to play up the neck. 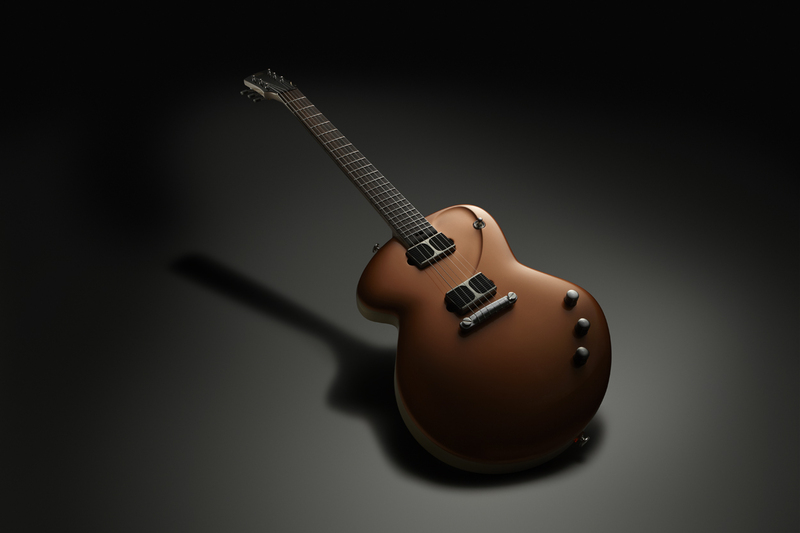 Selected chambered Spanish cedar body with spruce or maple top. 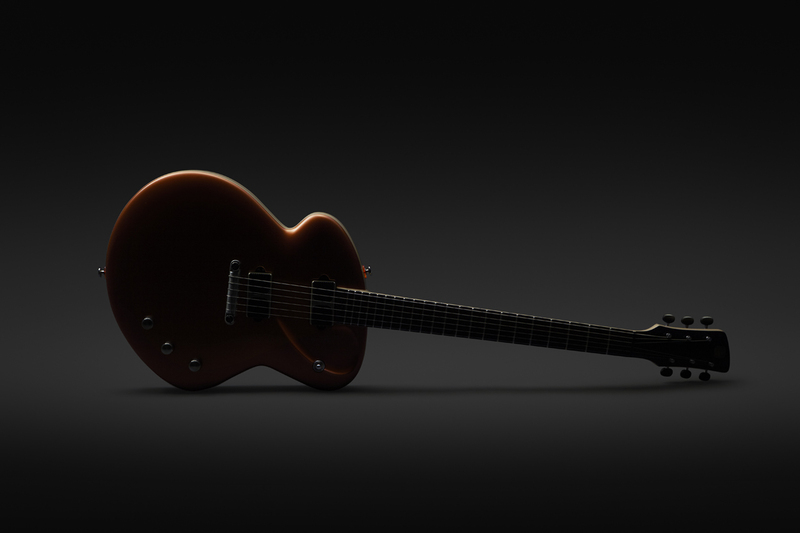 Also available in solid body version. Gotoh Vintage tuners with chrome or white buttons. 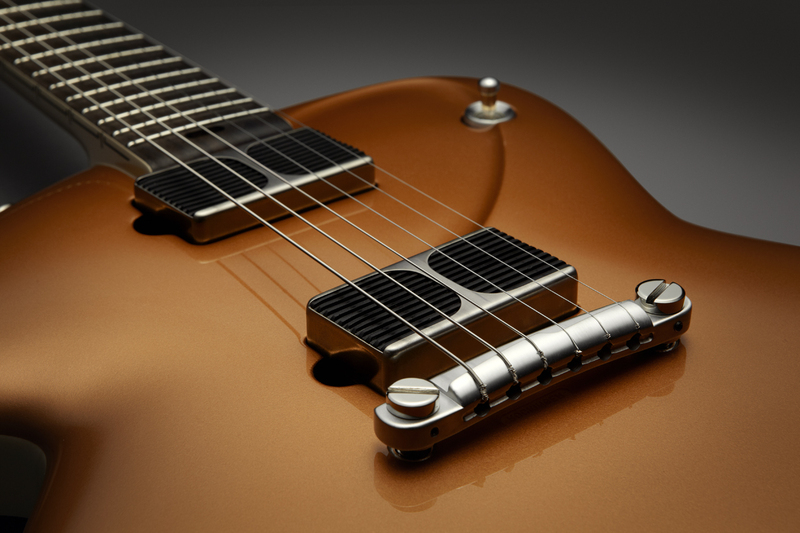 Lightweight aluminum compensated wraparound (reworked in brushed finish) with “tonepros” locking screws. Gotoh 17mm strap buttons reworked in brushed alu finish with lexan “neon effect” spacers. tuners : Schertler with custom made “neon effect” lexan spacers. ear-picked vintage style CTS pots (polished finish), 3 way CRL switch with custom made button and ring, Orange drop caps, polished electro-socket output jack, custom wound Bare Knuckle Pickups with our trademark deco engraved. Handmade pickup covers with black front grill rubber. Russian NOS paper in oil caps. 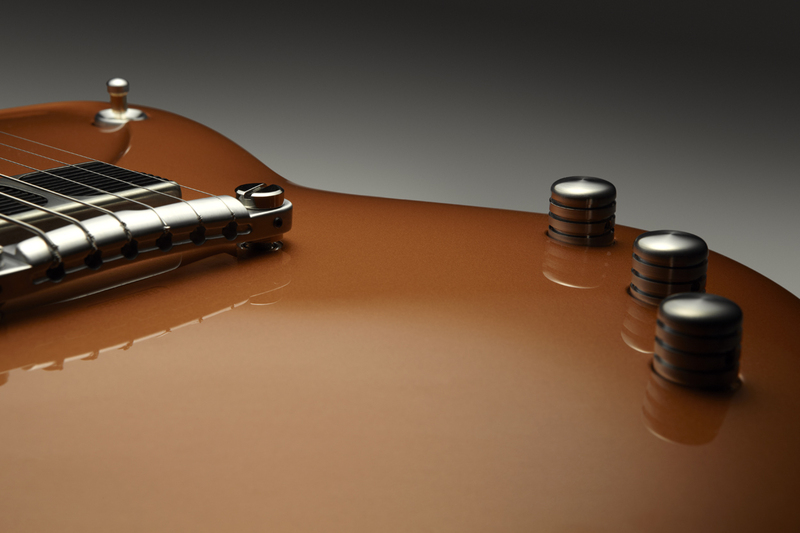 Automotive DuPont colors with ultra thin skin finish. As we love searching for visual striking colors, we’d be more than happy to suggest you some ideas.